153# Dynamic Channel, Contrarian Strategy. Check all available pairs like USD/GBP etc. for the BUY/SELL Signal Arrow. In daily timeframe every candle describes one day. direction of the arrow. You should enter the trade at the start of the new candle. 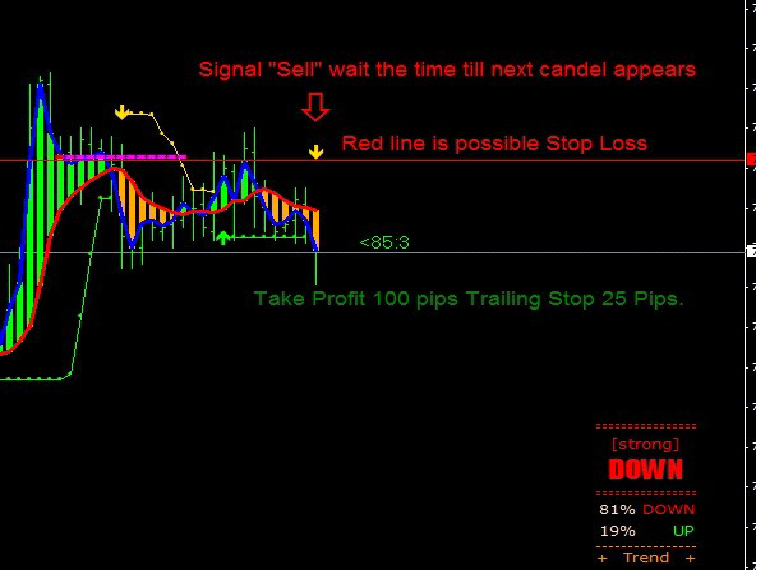 arrow to form on another day or look at other currency pairs for the signal arrow. Stop Loss: Optional -> if set low of the signal arrow spike trailingstop only works if the trade goes minimum 25pips in profit, trailingstops are controlled by Metatrader, not your Broker! If Metatrader is Shutdown, only a conservative Stoploss will work. The system seems very profitable but no system is “perfekt” be careful and follow the rules. In the pictures SEFC Palato forex system in action. Can't change timeframe. Is it possible? I also have the SEFC bull bear indicator missing. Please help me to repair the chart. Super System. I trade it in H4 or H1 with good Profits.